We’re well into our fourth year of talking about games we find at our local thrift stores. You might say we’ve become experts in finding the treasures among the trash. 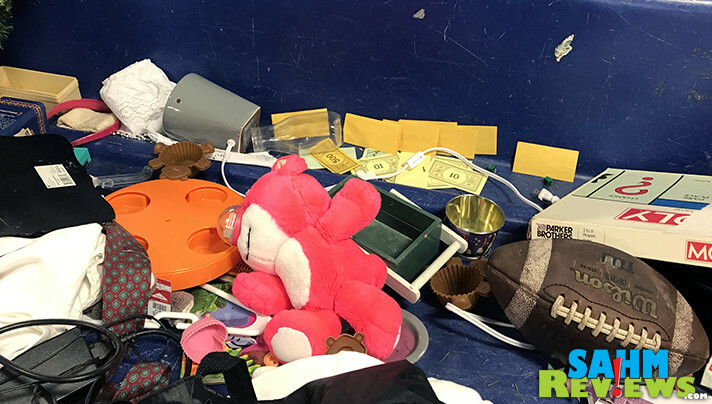 For every game we find, we have to sift through scores of unwanted or incomplete boxes just to find the perfect example for our collection. It’s a tough job, but someone has to do it! 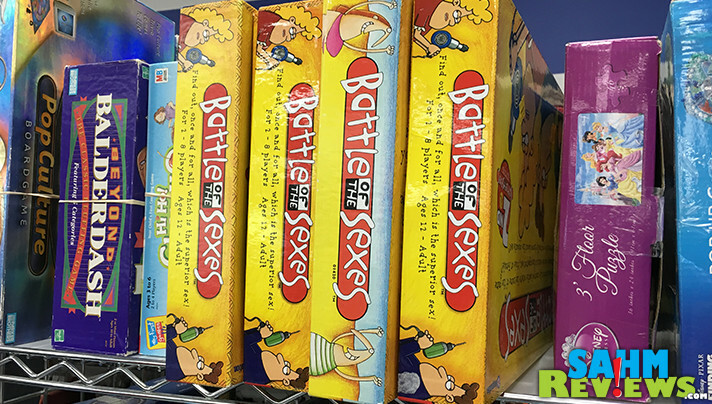 Over the years we noticed a trend of the same games regularly appearing on the shelves. 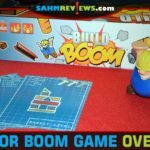 Photos posted on Facebook by other game aficionados confirmed what we were seeing – the same titles over and over again collecting dust at local Goodwill, Salvation Army, Savers and other thrift stores. It was then we realized there were so many that were going unsold (and eventually into the trash) that if people knew how many copies of these games were available for a couple bucks, and many times still in shrinkwrap, they would have no reason to buy it new. 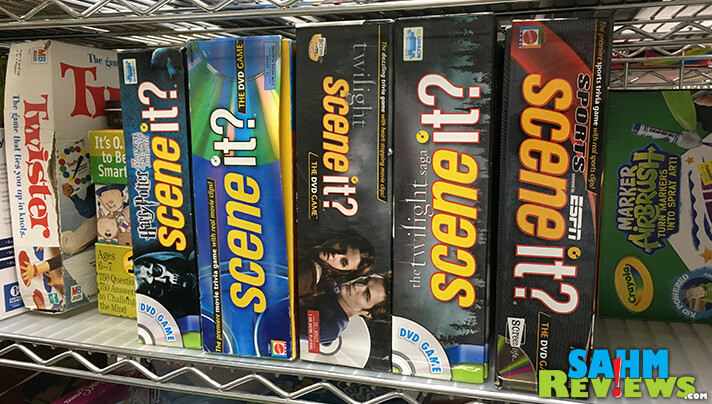 We combined our personal observations with an informal poll posted in a game-related Facebook group to compile this list of the most commonly seen games at your local thrift store. 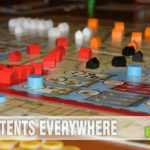 In reverse order by frequency, these are the board games you can save a lot on by buying at thrift and should never, ever consider buying new! Checkers could easily hold a higher spot on this list due to all the different companies that have offered sets over the years. But every household has to have at least one set in the closet, so that probably accounts for other titles appearing in greater quantities. Much like Checkers, Chess sets can regularly be found at your local Goodwill. Especially the Chess Teacher sets that are given as gifts and often are donated without even being opened. If you keep your eyes open, you might find a scarcer licensed set like Zelda or Mario! We never owned this game, but by the number of donated copies we’ve run across, many of you have. Maybe the current culture has made male vs. female games off limits. Or it was a title that grandma thought would be a nice gift when they had no other ideas. Either way, there is no shortage of copies of this game to pick up for a buck or two. You might think this would have a much higher (or lower, since we’re working our way down the page) position in our list. Scrabble has been a family favorite for over 100 years with millions upon millions of copies produced. 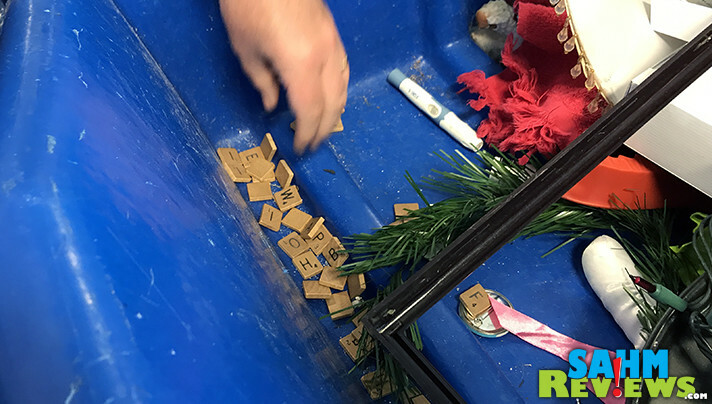 Boxes appear at thrift quite often, but since crafters love the wooden letter tiles, they are snatched up rather quickly when priced right. We prefer the build quality of older versions, so we would never consider a new game of Scrabble. There’s no doubt that Hasbro’s Cranium is the birthday gift of choice, and has been for many years. Cleverly titled with a name that suggest learning along with play, you can always count on at least one copy at nearly every thrift store in the nation. Check the box before buying – it contains a jar of clay that easily dries out. You can substitute any other modelling clay if necessary. Another example of a long-standing staple in game closets around the nation is Rummikub. This tile game with its roots in UNO is another birthday fallback, meaning many families end up with multiples. 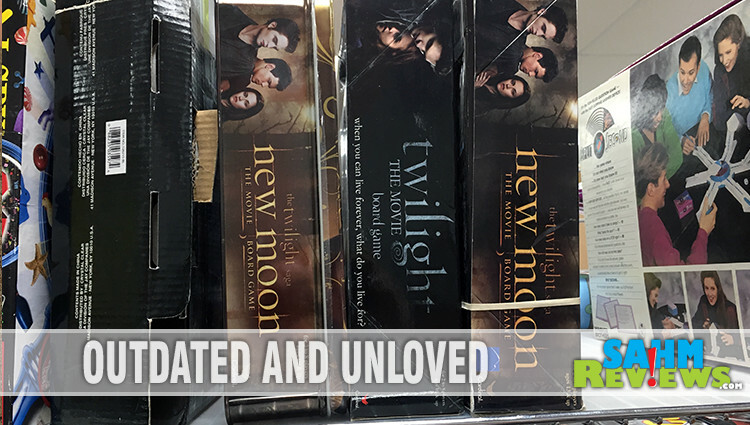 We’ve seen countless copies at thrift that are unopened and make an excellent choice to re-gift! 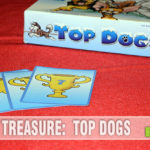 Many modern games use what is lovingly referred to as the “Apples to Apples” mechanic, where everyone answers a question or sketches a drawing and the judge picks their favorite. With all of the different versions available (regular, Junior, etc. ), it is no surprise this shows up so often at thrift once the kids are too old to enjoy it. Another example of a game that is donated regularly due to the amount of time it’s been around and the number of copies sold at retail every year. Arguably the most popular board game ever, there is an entire collector culture who must have one of every copy (licensed and unlicensed). Others collect the playing tokens, many of which can only be obtained in certain versions. No matter what your fancy, you can save a lot of dough by buying a gently-used copy at your local thrift store. I’ll bet you thought this would be #1 on the list. It almost was, thanks to the number of follow-up versions issued in the late 80’s and early 90’s. It is still available today and has been around so long that older cards have now been rendered incorrect and there are even special editions that cover decades after the game’s initial release! As a bonus, you don’t have to worry about missing cards, since the game can be played without them. Grab a random one and save your hard earned dollars! I have to profess to having never played Scene It, but have purchase pieces when we visit a Goodwill Outlet. Each version has a custom die and plastic figures, and we’re especially fond of the Simpson’s version of Scene It. Whether you’re into Disney, Marvel, Twilight or Harry Potter, there has been a Scene It? made just for you. And it is waiting for you right now at your thrift store! There were many more that could have easily been included in our list (Chutes and Ladders, Clue, UNO, etc. ), but the list needed to be cut somewhere. 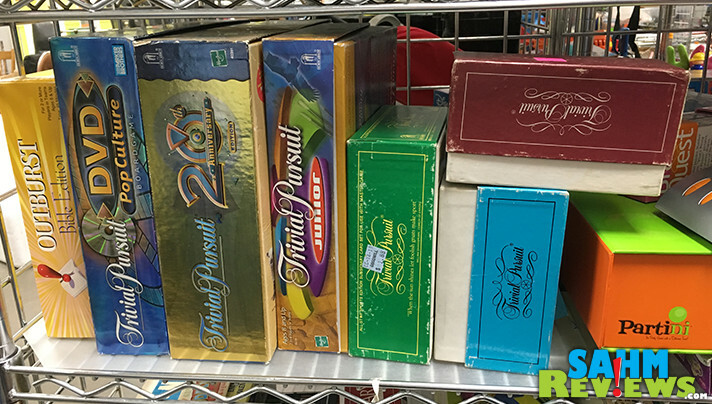 When you’re looking for a mass-market game like any of the above, consider frequenting your local thrift stores before the big box retailers. Most thrift stores benefit local charities or provide much needed public services to the community. It’s always a shame to see a good game headed to the trash, so next time you’re in the market, save a game (and some money)! What game do you see all too often at thrift stores? I love this post, I never thought about which board games I shouldn’t buy new before. I admit, when I find an old school game and purchase it new? It isn’t the same as I recall from childhood. I would much rather find it somewhere like a yard sale or thrift store! I agree with the Scrabble. The older versions have better tiles than the new ones out in the market today. Trivial pursuit is the same. Thanks for sharing this list! We played our Monopoly game until the board fell apart. I never considered checking a thrift store for games. It’s really a good idea because I’ve wasted a lot of money on games only played once. I love apples to apples. I actually think I got ours at a garage sale! Totally agree with your thoughts. Second hand board games in good condition are way better than getting brand new ones, especially those classic board games. Come to think of it, I think our Trivial Pursuit needs to be replaced. I will look around at garage/yard sales in our neighborhood. I didn’t even think to buy all my old favorite board games used! I’m checking out the board games on my next thrift store shopping trip! I think I see Cranium and Trivial Pursuit in every thrift store I go to! I have many games that I have bought at our local thrift store or garage sales. The ones I have gotten have all been in perfect shape for a great value.